To avoid major damage, it’s best to get your flat roof repair done before the cold arrives. Toronto’s winter weather is harsh on your roof. Make sure your roofing system is up to Mother Nature’s challenge by getting your flat roof it inspected and repaired right away. Waiting till the warm weather arrives will only worsen the problems. Additionally, you could be faced with leaks and other issues in the biting cold. Why take that risk? Although there are flat roofing services that work throughout the year, winter is not the best time for repair work. Here are some reasons why. It is riskier and more challenging. Even flat roofs can be icy and slippery which creates dangerous working conditions for the roofers. The quality of work may be compromised as some roofing equipment, e.g. compressors and air guns don’t work efficiently in the cold. Shingles also lose their flexibility and there may be problems with the self-sealing strip as well. Your business will be exposed to the elements while the roof is being repaired. This creates an uncomfortable working environment for your employees. You might be forced to shut down and incur unplanned downtime expenses in addition to repair bills. Job efficiency might also be compromised as roofers may not be able to do their best while working in frigid temperatures. If there is significant snowfall or extreme cold, repairs will have to be postponed and this could weaken your roof even further. Your roofing system is the first line of defense against the elements. It deserves the best roof repair service in Toronto. At Integrity Roofers, we have over 30 years of flat roof repair experience. This translates to correct diagnosis of your roofing problems and cost-effective, long term solutions. 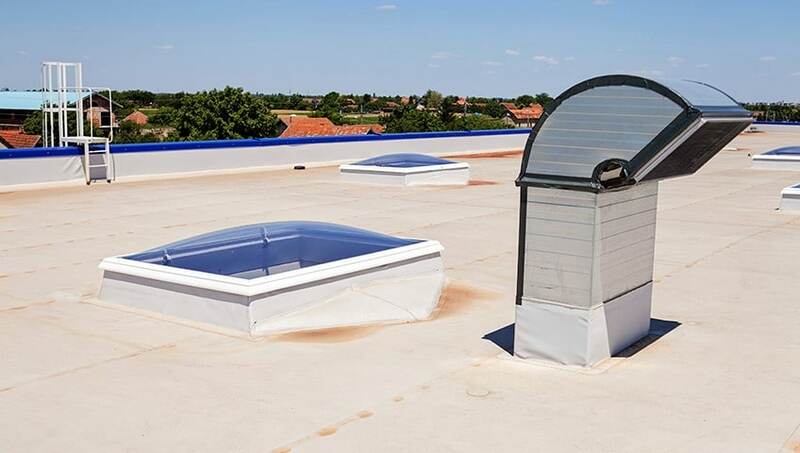 Give your flat roof and business premises our premium protection. We perform flat roof repairs and maintenance on a wide range of systems including built-up roofing systems, torch-on and spray-applied coating systems, tar and gravel roofs, and TPO and EPDM roofing systems. Our expert roofers have also undergone SOPREMA’s Programme of Affiliation for Quality + Safety (PAQ+S) training program which is the most comprehensive of its kind in the industry. You will have peace of mind knowing that your roof repairs will incorporate the latest waterproofing products and technology as well as safe, efficient working methods. 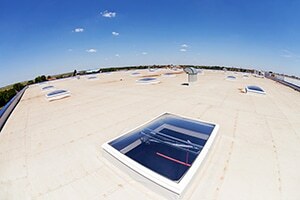 For Toronto’s best flat roof repair services, contact the experts at Integrity Roofers. Give us a call at 416-736-7373.